The smoothest, most satisfying space-based flight simulator on iOS. Space-flying fanatics take note: Hyperburner lets you take a trip to a galaxy far, far away, where you can dip, dive, and barrel-roll your way through futuristic space highways. 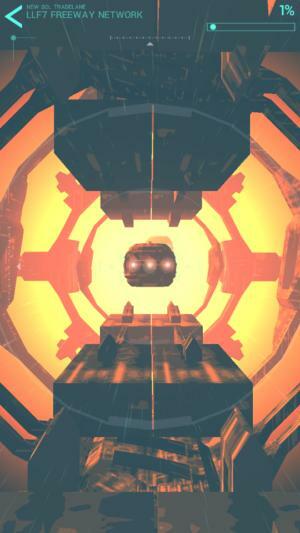 The first thing you’ll notice about Hyperburner is that it’s beautiful and unique—this isn’t some cobbled-together endless runner full of procedurally-generated geometric obstacles. The game features smooth, high-resolution graphics and six visually stunning (and distinct) zones. Each zone has its own unique atmosphere and obstacles—one zone is orange and cloudy and full of rocks and asteroids, while another is yellow-red and features hovercraft space-buses that zip toward you. You’ll need to use strategy and reflexes to complete all the levels, because many obstacles don’t have a clear-cut path that leads you through them. 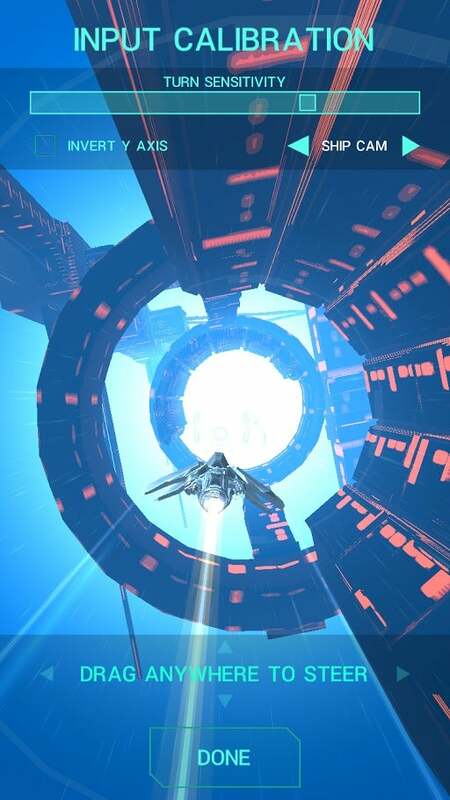 Hyperburner’s 30 levels will challenge even the most seasoned space pilots. I like endless runners, but I don’t find them nearly as satisfying as leveled games. It’s great to be able to pick up Hyperburner and burn through a level or two without having to push yourself through a dead-zone of previously-dodged obstacles in an effort to beat your record. The fact that Hyperburner’s levels are consistent and created—not procedurally-generated—is also satisfying. You’ll never run into an impossible-to-beat procedurally-generated obstacle in any of its levels. Tweak the game’s excellent controls to be even more excellent. It has excellent controls: Touchscreen controls can be hit or miss, but Hyperburner’s controls are definitely a hit. 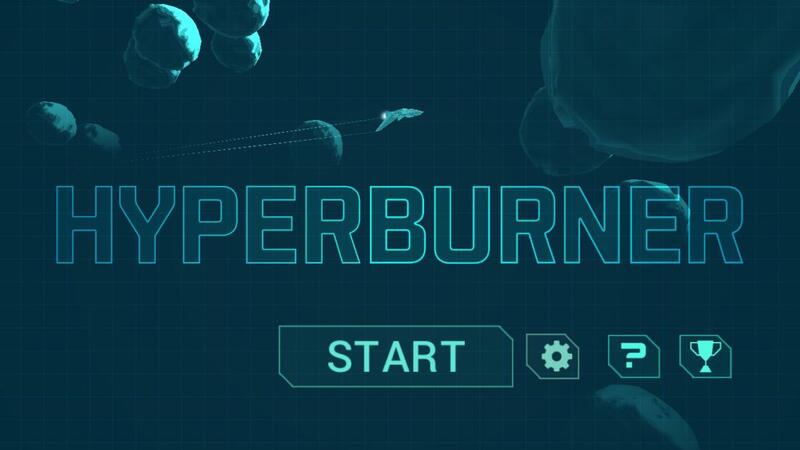 Unlike similar games, which ask you to tap, swipe, and jiggle a constantly-moving ship, Hyperburner has you steer with your finger, and the ship only moves when you’re touching the screen. Lift your finger off the screen, and the game pauses and your ship stops. This makes it easy to take a break or reposition your finger without having to worry about losing valuable reaction time. The controls are also customizable. You can adjust your ship’s turn sensitivity (higher means your ship will nosedive toward the direction you point, lower means slower reaction time) and invert the y-axis, and you can choose from three different viewpoints: Trail cam (distant third-person), ship cam (third-person), and cockpit (first-person). I like the cockpit view because you don’t have to worry as much about your ship’s wings clipping obstacles when you dip and dive. If awards and achievements are your thing, Hyperburner offers 20 to work toward. There’s plenty of playtime: Hyperburner has 30 short levels, but don’t be fooled—you’ll get your money’s worth of playtime. Once you’ve beaten a level, you unlock that level’s endless mode, which is, well, and endless mode. It’s just the same level over and over again, but the speed increases with each successive run-through, so it can get pretty challenging. Plus, you can choose one of two speeds to play the endless mode in—the fastest speed earns you a higher final score (the exact point multiplier depends on the level, as tougher levels have higher multipliers to begin with). 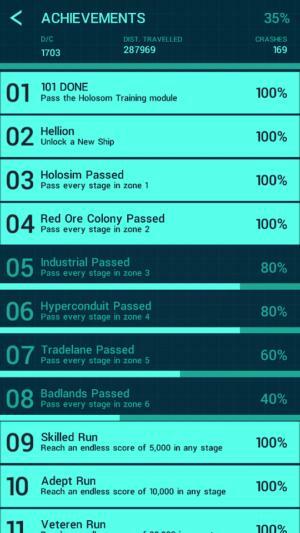 On top of the additional level options, the game also offers four different ships, which you’ll unlock by playing the game and achieving certain scores in endless modes. Each ship has its own speed, handling, and shield regeneration stats, so each ship offers a slightly different playstyle—meaning there’s plenty to work with before you get bored.